With 95% of real estate buyers using the Internet when searching for a home, the plan to sell your property must utilize extraordinary online exposure. We leverage the Sotheby’s International RealtyⓇ marketing platform to distribute our listings to the most significant media companies and real-estate focused websites in the world. 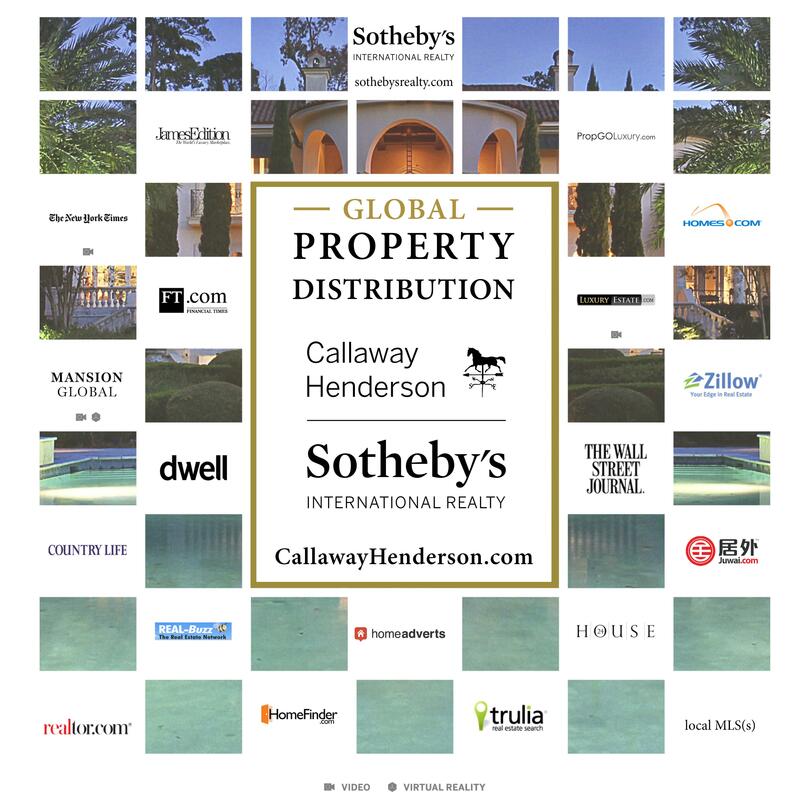 At the centerpiece of our listing distribution strategy are CallawayHenderson.com and SothebysRealty.com, along with a cascading platform of more than 100 interconnected, locally-focused Sotheby’s International Realty network member websites around the world. Together, these websites attract more than 100 million page views per year. As depicted in the above Global Property Distribution Grid, other prominent online media partners include: Country Life, Financial Times, HomeFinder.com, Homes.com, House24, James Edition, Juwai.com, LuxuryEstate.com, Mansion Global, PropGoLuxury.com, Realtor.com, Shelterr, The New York Times, The Wall Street Journal, Trulia, and Zillow.